To put Flanders' first sustainability bond in the market, a roadshow was organized. During the 5 - day campaign the Flemish Community visited numerous investors in Utrecht, Rotterdam, Amsterdam, Helsinki, Copenhagen, Paris and Brussels. Shortly thereafter, on November 12th, the Flemish community went on the primary market. They managed to issue EUR 500 million euro. The maturity date of the bond is 21 November 2033, the coupon is 1.375% and the yield is 1.449%. For this transaction there were 61 interested parties from 11 different countries. 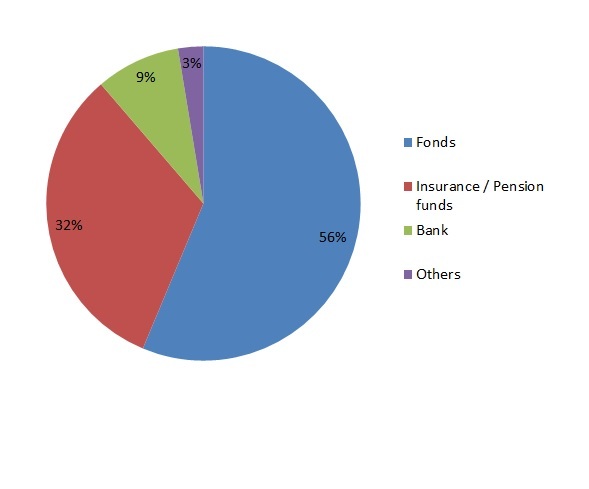 The split by geography en by investor type are shown in the pie charts below. 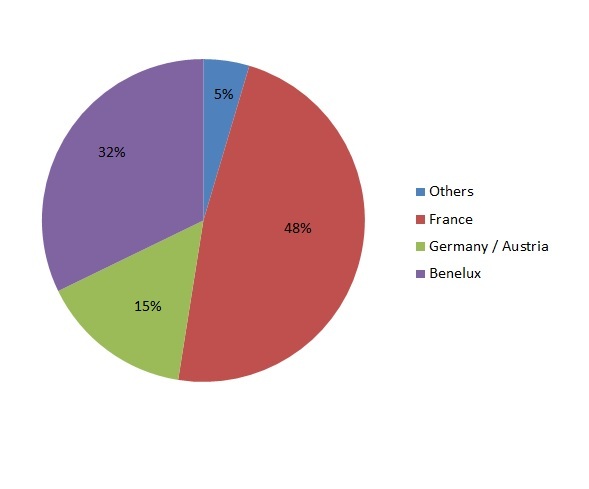 Flanders aim to further diversify the investor base has worked well with a growing interest from France (almost half of the investors came from France versus 20% in the previous normal benchmark transaction) and the Benelux (32%). In total 16 new investors came in the book. The new Flemish financial product was presented to "Sustainalytics" for a second party opinion. This authority confirms that this bond complies with the Sustainability Bond Guidelines 2018. It also states that the bond is creditworthy and will have an impact on the sustainability of the Flemish government. The investor presentation of the sustainability bond can be found below.